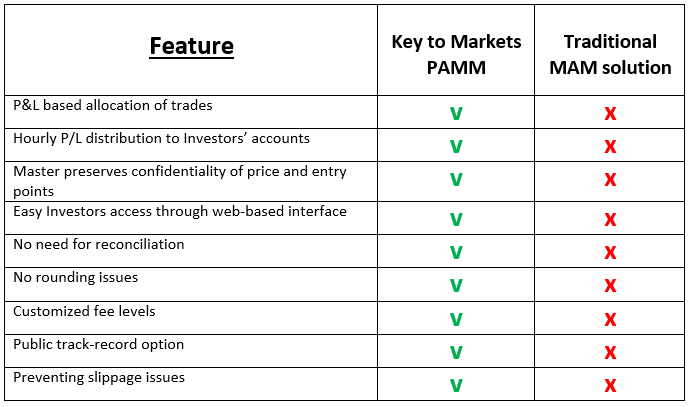 In this article we are going to discuss the differences between the PAMM offered by Key to Markets and the typical MAM system offered by other brokers. Both systems have pros and cons. Key to Markets itself used to offer a MAM system in the past, but in order to meet the needs of both the Managers/Traders and the Investors a while ago we decided to switch to a unique PAMM system. What is a MAM System? MAM stands for Multi Account Manager, it is a software solution which allows you to control more than one account at the same time. with some of the above described allocation methods there could be a price slippage creating discrepancies between the entry/exit levels of the Master and the Slaves. 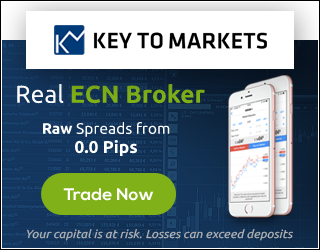 Key to Markets has been able to address all of the above issues through its powerful PAMM solution. PAMM stands for Percent Allocation Management Module. With the Key to Markets PAMM system there is only one allocation method: “P/L allocation proportional by equity”. 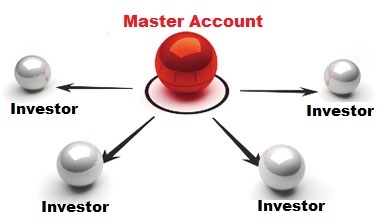 This means that no matter how many lots per trade the Master opens on the trading account, what is allocated on the Investors’ account is not the lots, but the Profit/Loss (the “P/L”) resulting from the trading activity of the Master. 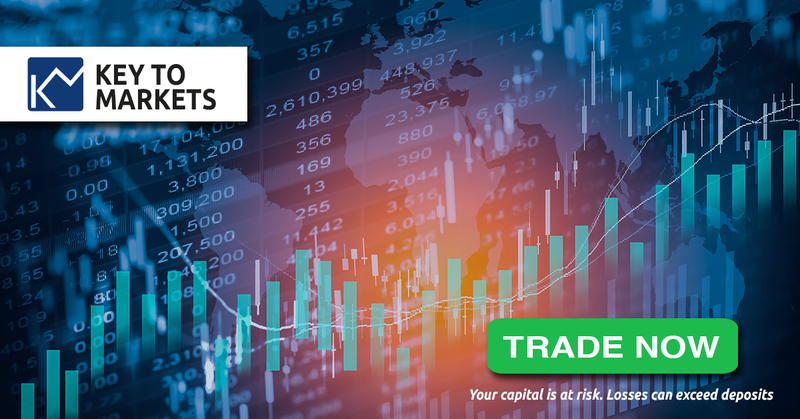 The P/L of both opened and closed trades is distributed on an hourly basis. Conceptually the system works like a hedge fund or mutual fund where the NAV (Net Asset Value) is usually calculated once a month or once a day, whilst with the Key to Markets PAMM the P/L distribution happens every hour. Thanks to this page, successful Traders can attract more Investors to their PAMM and thus earn more fee income. 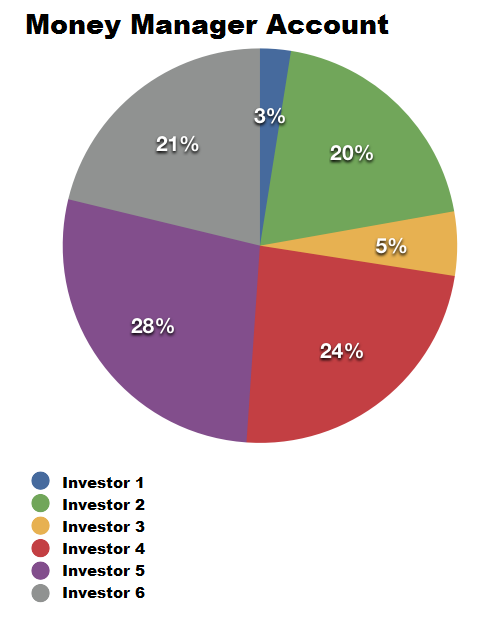 Investors can better scrutinize the PAMMs thanks to the accurate statistics showing the performance of each PAMM Account.